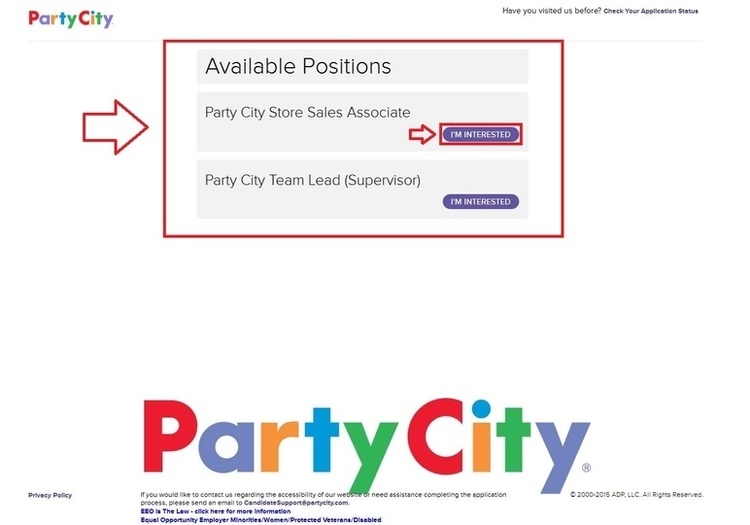 You may apply for positions at Party City through its official careers site - partycity.com/careers. Choose job kind from team leader position, store associate position, corporate position, or store management position, and click “APPLY NOW” to continue. 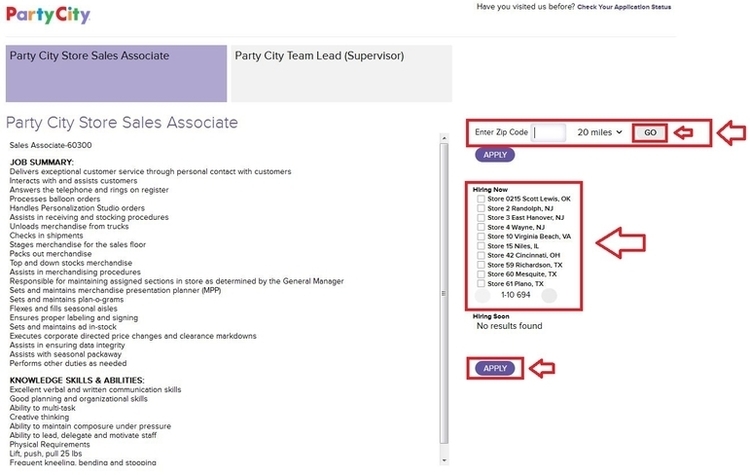 Available positions based on your selection at the previous step are listed on this page, choose one position you are interested in, and click on the button to view more information. Read the information of the position you wish to apply for. 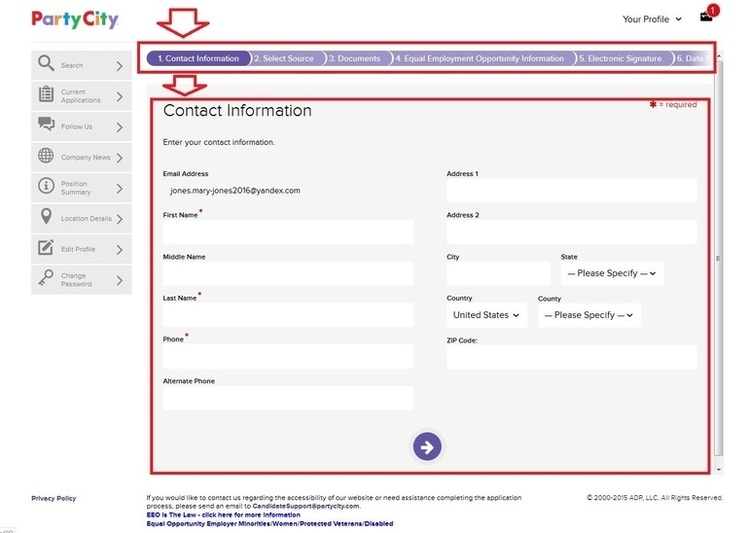 Enter zip code and select the distance and click “GO” to view the search results, which would be presented right on this page, then pick a store from the “Hiring Now” listings to start your application by clicking on the button of “APPLY”. 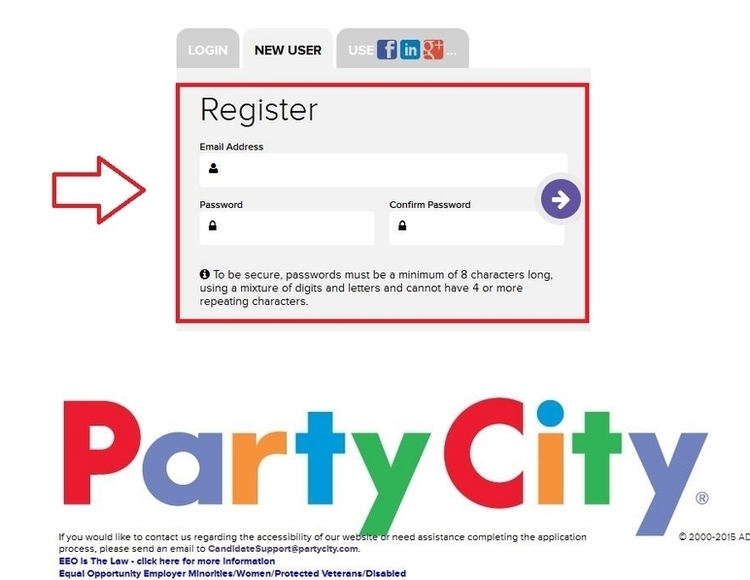 You are required to create an account to complete your application for Party City positions. You need to provide a valid email address and type passwords which must be a minimum of 8 characters long. There are 6 steps included in the application process which requires you to complete based on your actual conditions, filling in your contact information, electronic signature and equal employment opportunity information, selecting source, and uploading relative documents, etc. 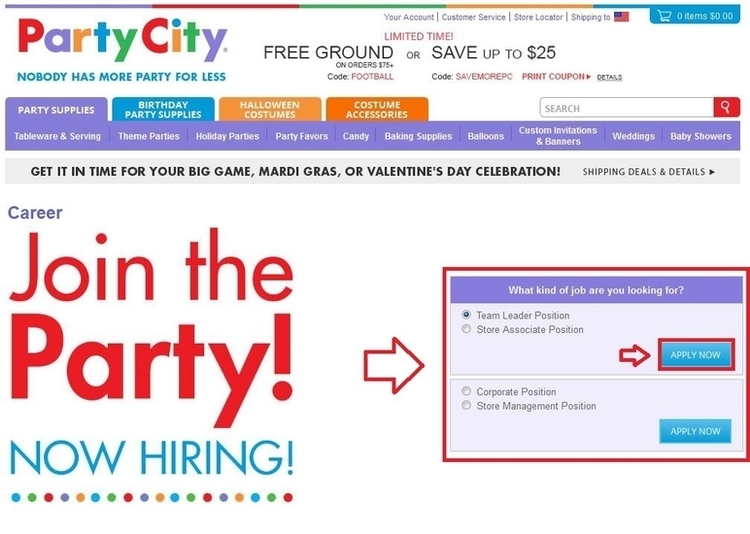 Click careers.partycity.com to apply for Party City jobs online.